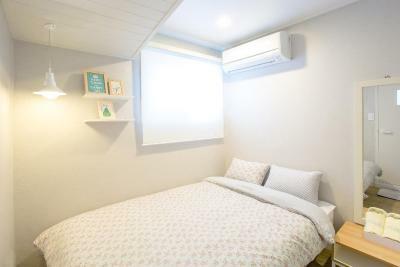 Lock in a great price for Hostel Vanilla 1 Dongdaemun - rated 9.4 by recent guests. 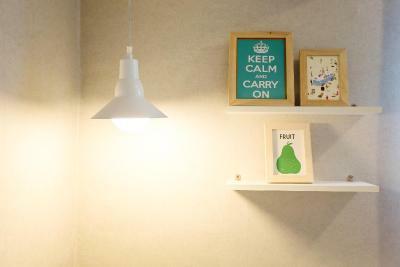 We're quite positive about the place, it's good for budget travelers. 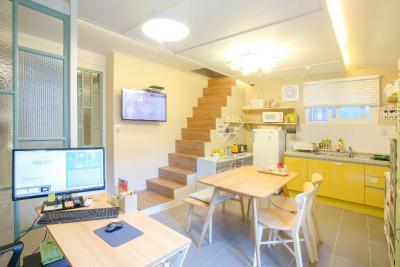 The owner Soo and the husband Ilir are very friendly and they gave us good advice around Seoul. Nice welcome even though we were early but they tried to do their best to prepare our room. 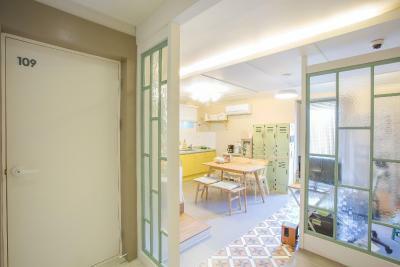 Good location near the subway and markets. the location was a little confusing to find at the beginning. But after locating it, the location is great, close to metro station and food stalls. 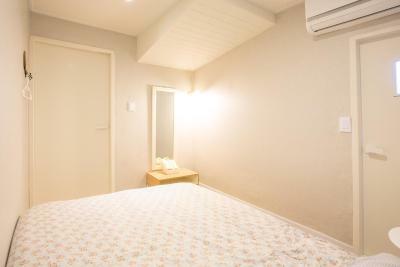 Rooms are small but great for short or medium length stay. 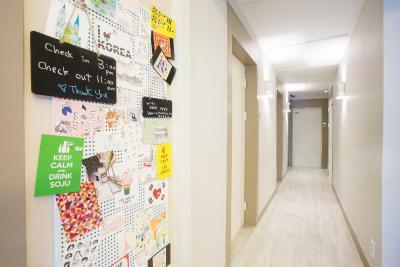 But room details definitely reflect the attention staff paid while decorating and cleaning the rooms. Staff are wonderful and helpful. definitely exceed my expectation. 1. The location was awesome! 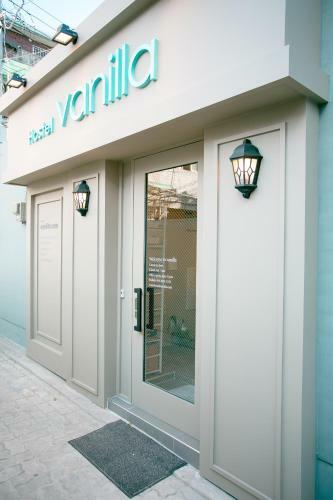 Less than 5 minutes walking from Dongdaemun. 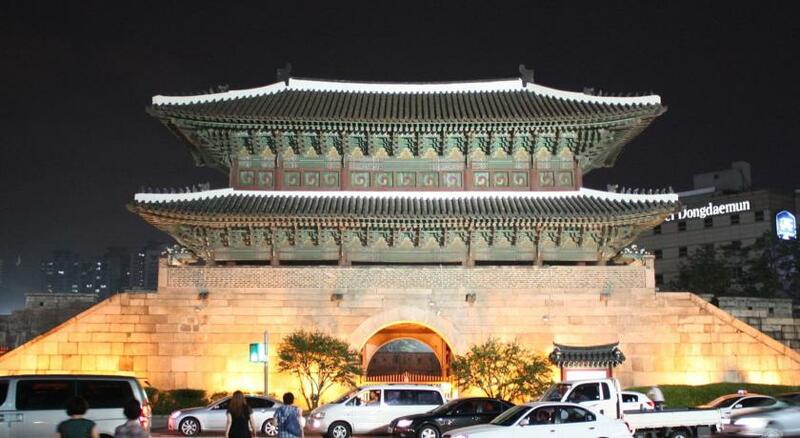 You can also find the City Wall starting in Heunginjimun Gate, a food market and a shopping area nearby. 2. 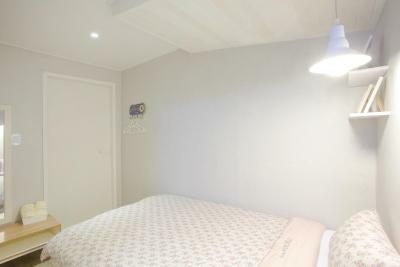 The room was clean and spacious and the bed comfortable. 3. The area was quiet with not much noise at night. Location was awesome! Good value for money. Great hosts. It was very clean and everything smelled fresh. There were a lot of choices for breakfast (eggs, spam, toast, cup noodles, cereal, juice, coffee, milk and more). the staffs are nice and welcome. 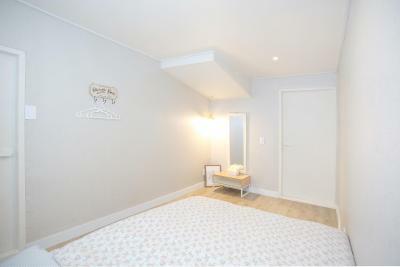 the room is cute and cozy. Pretty much everything. 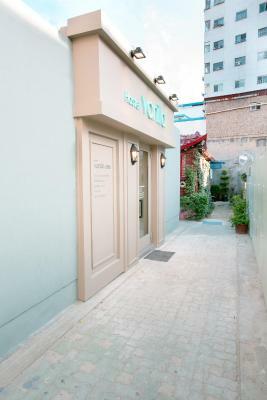 The owners Ylia and Soo are very kind and supportive, helped me a lot with recommendations and tips. Little touches of kindness are seen all around, since the first contacts by WhatsApp to know if I have arrived safely in Seoul until the goodbye message. 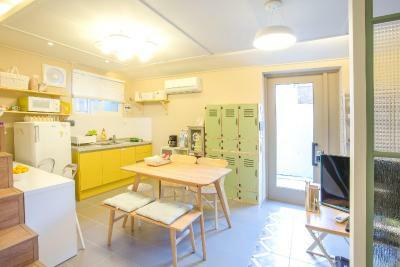 The facilities are new and clean, bed are very comfortable, kitchen well equipped and the breakfast amazing. The locations is pretty good, very close to subway line 1 and 4. Highly recommended for sure. 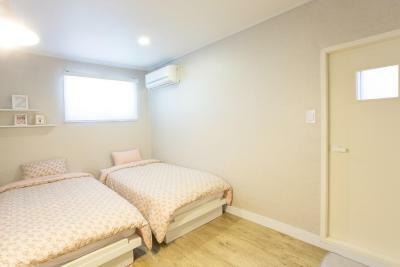 The location is really nice, near dongdamen and also there is a bus stop, so you can easily take bus to airport nearby the hostel. We booked the room on the day we arrived and we arrived late, but they were waiting for us and introduced about their hostel in every detail. The breakfast was also great for travelers. 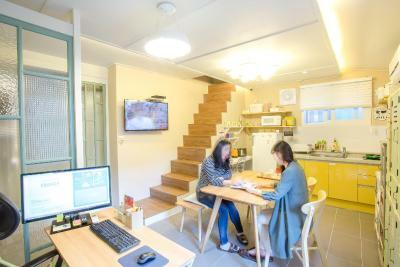 Hostel Vanilla 1 Dongdaemun features affordable rooms with a private bathroom, free WiFi and a shared kitchen. 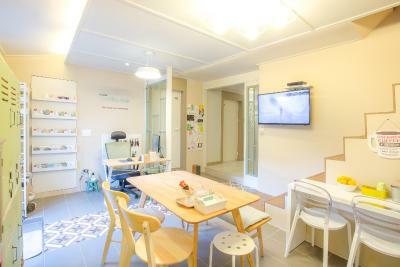 It’s within a 5-minute walk from Dongdaemun Subway Station (lines 1 and 4), and only 20 yards from a convenience shop. 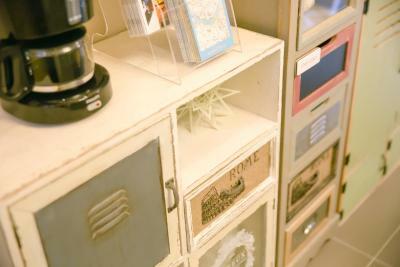 The hostel offers luggage lockers and grocery deliveries. 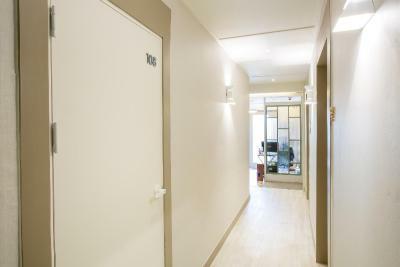 The rooms have air conditioning and a wooden floor. 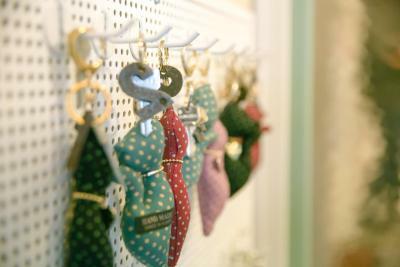 A few decorations give the white interior a lively touch. 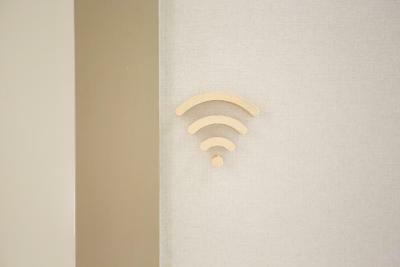 Each room has a private toilet and shower, and a clothes rack, linen and toiletries are all provided in the room. 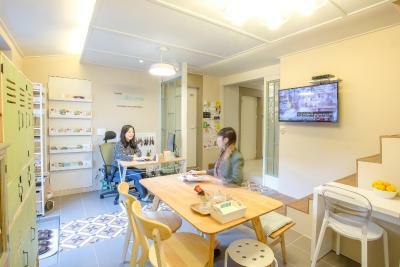 The Dongdaemun Vanilla 1 Hostel provides ticket service and laundry services. 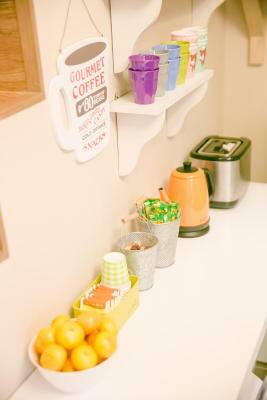 Guests can freely use the dining table, TV and kitchen including a coffee machine, at the shared lounge. 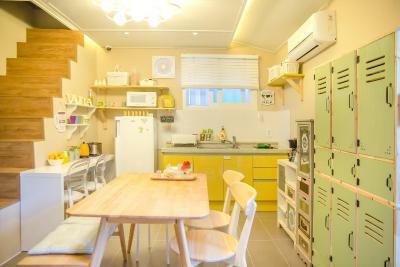 Hostel Vanilla 1 is only 200 yards from Dongdaemun Market. 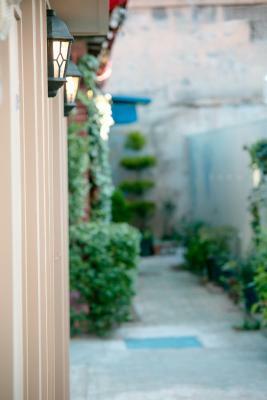 Cafes and restaurants can be found a few steps away. 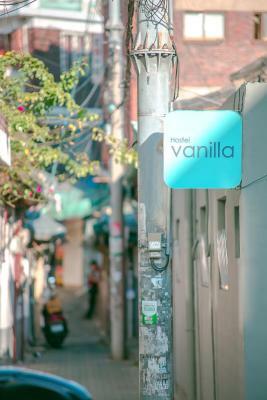 Hostel Vanilla 1 Dongdaemun has been welcoming Booking.com guests since 11 Nov 2014. 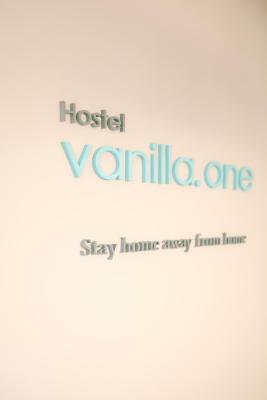 When would you like to stay at Hostel Vanilla 1 Dongdaemun? 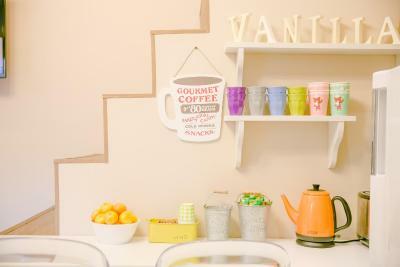 House rules Hostel Vanilla 1 Dongdaemun takes special requests - add in the next step! 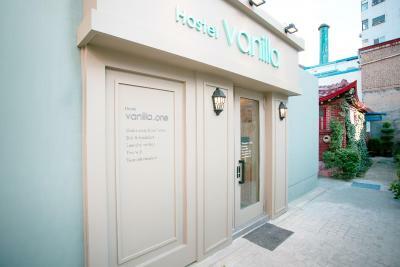 Hostel Vanilla 1 Dongdaemun accepts these cards and reserves the right to temporarily hold an amount prior to arrival. The room was rather small, there was no real closet for the clothes. 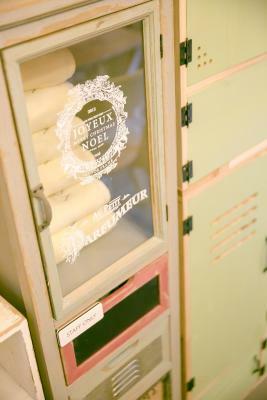 Clean, cosy, warm, and convenient! 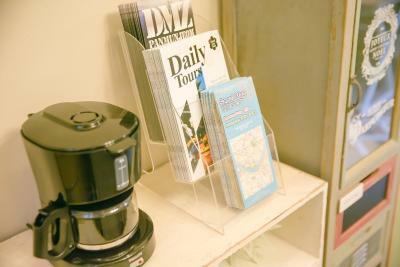 the maps showed on the website were not updated which made it a little difficult to find upon arrival. I would suggest to improve a little bit the breakfast including some fresh fruit. Everything else was perfect! Noise from the outside - can’t really be helped. Other guests were noisy coming back into the building late at night, and then proceeding to make food. Very friendly and nice host! I was being welcomed warmly! 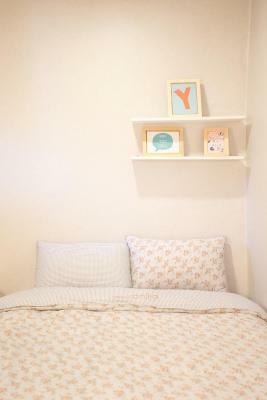 The bed and room was so comfy and cozy i hope to be back again!!! The bathroom is a little bit small than I expected. When we took a shower the water would usually leak out a bit from the shower. 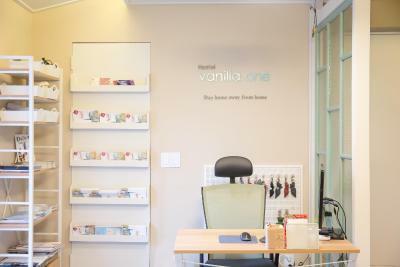 Actually I stayed at the vanilla suite 3 this time and the experience was wonderful. The suite 3 was newly opened and the host offered us to have a free upgrade. It is a traditional Korean building but with brand new furnishing. It is really special and the location is also nice. 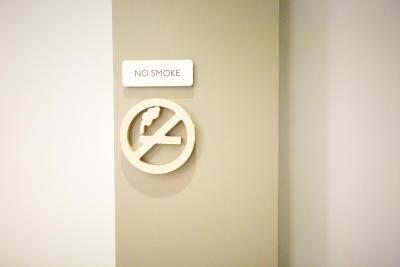 The walls were a little thin so we had to be extremely quiet and careful after the curfew . 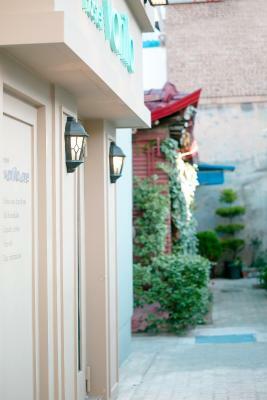 The location is just a few mins walk to the subway but you do need to walk into a quiet small alley. 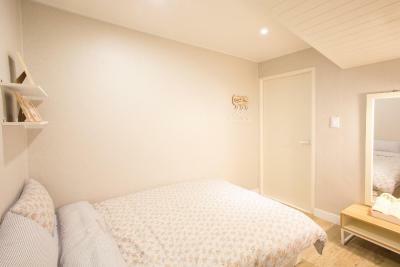 The room is quite old to us and there is a musty odour caused by the dampness that couldn't dry up and the space was too small for big luggage. 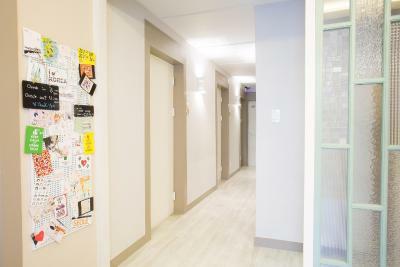 This was our second stay, we paid lesser for a few night stay at hong dae yet we got better deals. 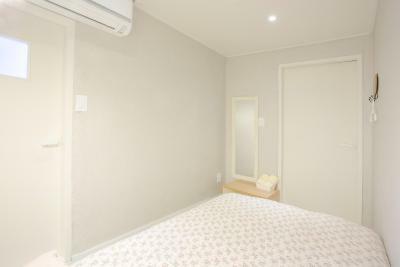 Very clean and home-like. 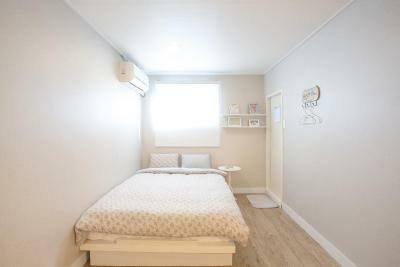 Great location -Dongdaemun station at 3min by walk. And the owners are extremely kind. I highly recommend this hostel. no bathtub. 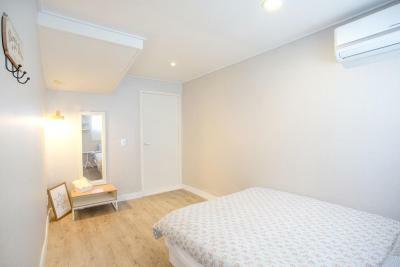 but it should be reasonable when it comes to the accomodation fee.